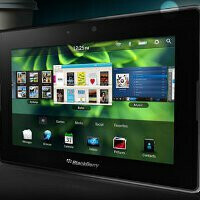 Early last week, RIM’s BlackBerry PlayBook received a nice new software update that brought forth things like a new Facebook app and support for in-app payments, but we’re now treated to yet another one so quickly. This time around though, the 278MB offering updates the PlayBook’s software to version 1.0.5.2342, which brings along a new version of Adobe Flash Player with it. Specifically, it addresses a vulnerability that was identified early last week by Adobe in regards to Flash. Even though we haven’t seen or heard about any reports regarding PlayBooks being affected by it, RIM nonetheless quickly pushed out this latest software update. Besides addressing the concern, there isn’t anything else new see with the new software update. It should’ve been pushed out by now, but if you haven’t seen it, you can always initiate the manual process by checking yourself through the update section under the PlayBook’s options. My Jabra Bluetooth Headsets do not work with my Blackberry Playbook, my headsets work fine with any android device, any idea when would they update my bluetooth drivers on the Blackberry Playbook?